Open all year and located in Ibiza Town these highly motivated tattoo artists work to highest health & safety standards and guarantee you leave with a tattoo or piercing you can be proud of. Founded in Ibiza Town in 1999, El Flaco Tattoo studio is one of Ibiza's premier custom tattoo shops. 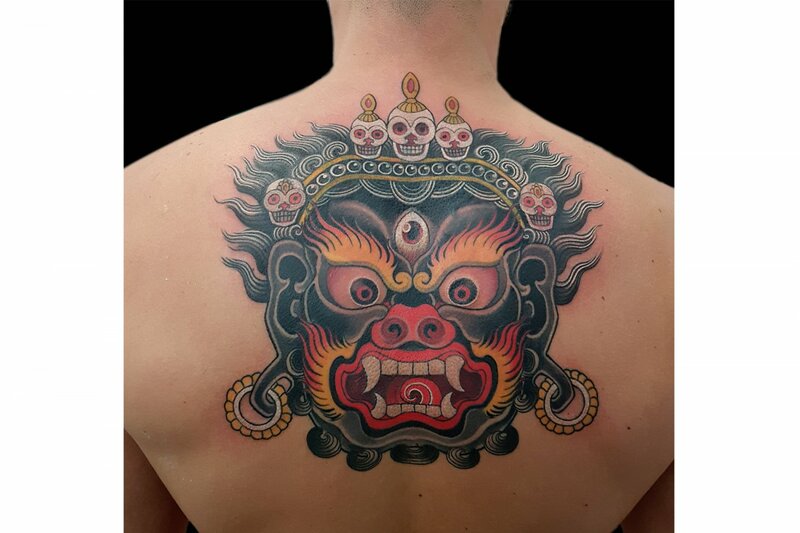 Packed with talented tattoo artists, this modern studio meets all the high standards required by law. All residents artists are experts in their own field and have over 10 years of experience. They specialize in custom designs in all styles. The artists aim to understand your idea and to create an exclusive design that you can be proud of. Throughout the season international artists are invited to the studio. You can check out their facebook page for exact details and dates. Contact them with your idea and they will send you a quote on how much it will cost. For your comfort the studio is fully air conditioned and heated in the winter.